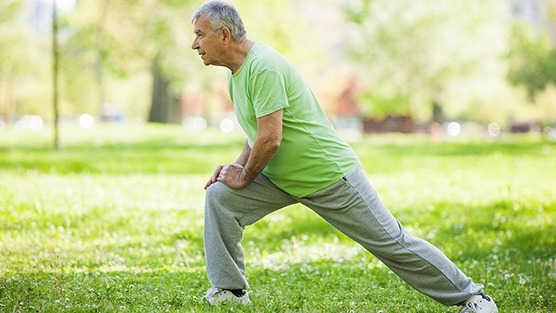 Regular exercise is one of the best ways to take care of your prostate gland. Prevention is the best medicine and exercise can definitely help here. Exercise has also been shown to help treat various prostate-related conditions. Over the years there have been a growing amount of research showing how exercise can help to prevent problems such as benign prostatic hyperplasia (BPH), prostate cancer, and erectile dysfunction (ED). It’s important to remember that the quality of your life is equally important to its length. With that being said, let’s take a look at some of the physical exercises that can help to improve your prostate health. Kegel exercises involve repetitively squeezing the pubococcygeus (PC) muscle. This muscle reaches from the pubic bone to the tailbone. The positives for doing Kegels and strengthening your PC muscle are that this can help you control your urine flow and also achieve better sexual health. The majority of men who have BPH can benefit from doing Kegel exercises each day. The pelvic floor exercise works the muscles by contracting and relaxing them rhythmically. This routine can be repeated several times. It is necessary to keep the muscles tight, as hard as you can, and allowing the muscles to relax completely afterwards. Not only do the exercises focus on static pelvic floor holds to build initial pelvic floor strength, but also progress to dynamically train the pelvic floor to assist with activities of daily living. This can assist in controlling prostate cancer related incontinence in men. There are a number of different aerobic exercises you can engage in to improve your overall prostate health. These include: running, jogging, cycling, walking and hiking. In addition to burning calories, aerobic exercises are particularly effective at increasing the body’s natural levels of antioxidants and eliminating inflammatory molecules that drive cancer. Yoga can help keep the prostate fit and healthy. Certain yoga postures such as the Seated Sun and Knee Squeeze increase the flow of blood into the groin and pelvic muscles. There are also yoga postures similar to regular pelvic floor exercises that can strengthen the muscles in the lower body and help prevent problems related to the urinary system such as dribbling of urine and pain while passing urine.